I found another interesting informational sign from the hotel. This sticker is on the phone. My best guess would be that the hotel uses this sticker so if people stop by their rooms mid-afternoon, they don’t call down to the desk screaming about no towels or unmade beds. 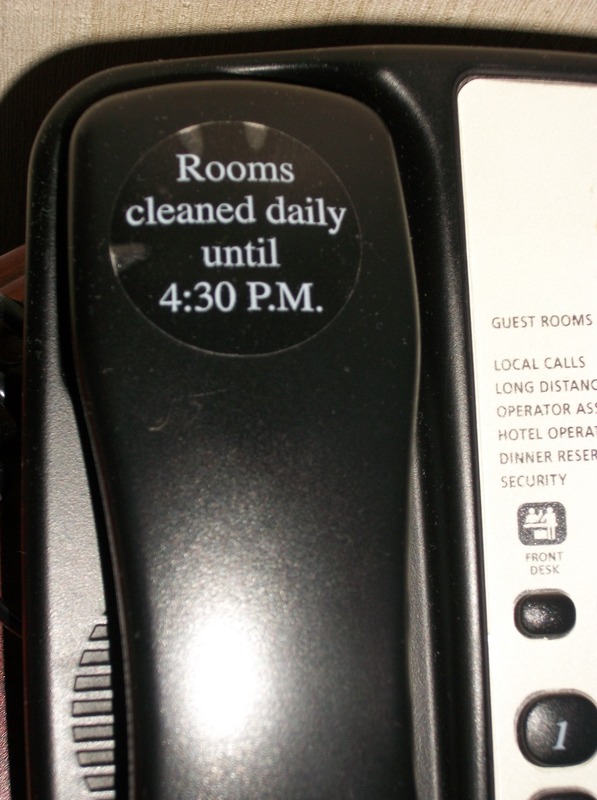 My own observations of human nature and literacy would be that this sticker probably only stops one in twenty people from picking up the phone and reaming out some poor person at the front desk. 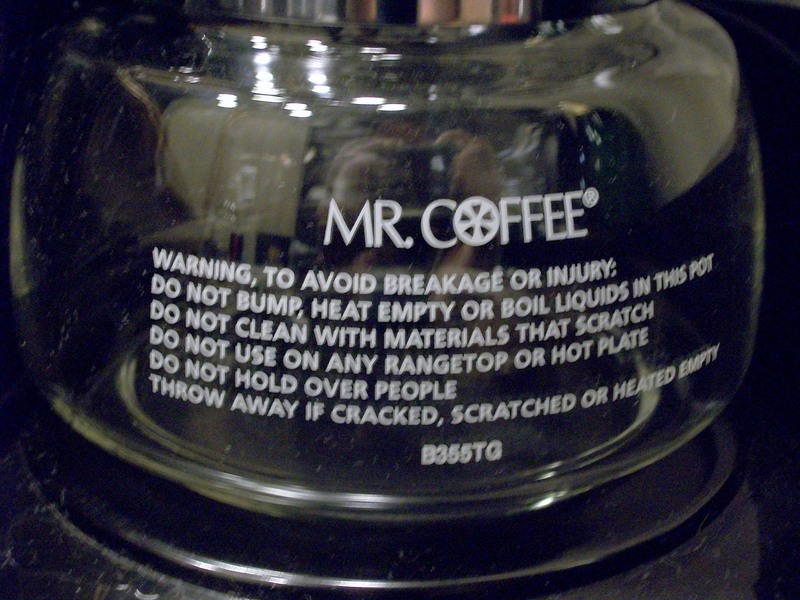 And, I also found a classic warning label on the coffee pot in our room. I understand the first, second, third, and fifth items on the list. They are there to preserve the life of the coffee pot. But, “don’t hold over people.” Really? I mean, I know that action is probably not the best idea. I’m not questioning that. But, why does “don’t hold over people” get to make the list? If we’re assuming that basic lack of common sense, I feel the list should be longer, expanded to include “do not bash against granite counter,” “do not leave near curling iron outlet in the morning,” “do not use as a portable coffee mug even if you do drink 6 cups of coffee in the morning.” I suspect a lawsuit is lurking somewhere behind the warning, but if not and if people are hired just to write these warnings, I want writing product warnings to be my side job because I have a pretty vivid imagination. I could imagine plenty of awkward and ridiculous uses for products.